The Audio Technica ATH-ANC9 noise-cancelling headphones are solid noise cancelling headphones that deliver awesome sound quality with noise-cancellation on, but the audio quality takes a slight hit when noise-cancellation is off. The Audio Technica ATH-ANC9 noise-cancelling headphones have received positive reviews for their excellent sound when noise-cancellation is on, their superior comfort, their 3 different environment dependent noise-cancellation options and their great microphone for voice calls. Users also found the fact that it played music after the battery died greatly convenient. They are also well-priced for their overall performance. Some reviewers did find that the sound quality greatly improved with noise-cancellation on, which they thought was a bit annoying, suggesting that whether noise-cancellation is on or off, the sound quality should remain the same. But this was in no way a major issue for most users, however, with the Audio Technica ATH-ANC9 being one of the most preferred headphones by travelers. 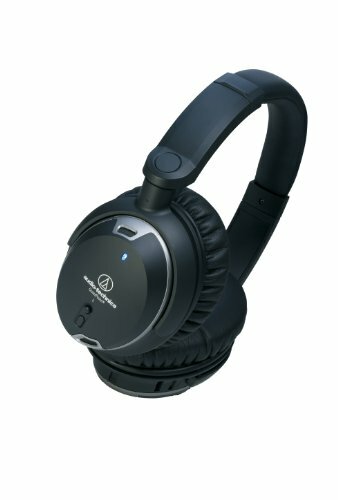 The Audio Technica ATH-ANC9 QuietPoint headphones deliver quality audio in passive and active modes, but noise-cancellation performance is not in line with the price. The ANC9s sound great, and even better when noise cancelling is active. Memory foam creates a comfortable fit, but it's just a shame that you need to keep AAA batteries handy to get the most of out them.